Dragana Trifkovic: I do not think that there is really no reason Mr. Vyshinsky’s arrest and that there are no reasonable doubts. It looks like a frame-up with the aim of extinguishing the Russian media. In my opinion, the Russian media are professional and objective, but this is not in line with the anti-Russian propaganda that is being conducted. I hear this assessment of Russian media from many colleagues from the West, who are increasingly being informed by Russian sources. Today, due to technological advancement, communication is accessible to everyone and accelerated, but the big problem remains the disinformation of the public through the false news. Sputnik: Previously many experts noted that he was being held as Kiev was trying to apply pressure on Moscow ahead of the FIFA World Cup. Do you think this is still the case? Dragana Trifkovic: In my opinion, Ukraine, with its anti-Russian politics, and it is not too harsh to say also with its hysteria, is trying to draw attention from its own problems. I think that there was a blackmailing attitude towards Russia before, but when the capacity for such a relationship was lost, Ukraine, instead of looking at real positions, began to carry out an aggressive policy towards Russia and the Russian population in Ukraine. It is as if the anger of their own insentience turned into an anti-Russian hysteria circle through which Ukraine sees the culprit for everything in Russia. It's completely surreal, and someone who sees it and analyzes it from outside can get really terrified. Sputnik: What is your take on the way this issue has been addressed by Western media and journalists? Dragana Trifkovic: The Western media are silent about this case, but also about many other cases of human rights violations that they do not feel concerned about. There are obviously double standards in relation to the implementation of human rights standards. In the past, there were many cases where this topic was used for propaganda purposes by the West and where it was used as a cover for human rights violations. Such things are unacceptable. We as a "global society" today have to return to the framework of international law, respecting norms and respecting ethical and moral values. We also have an obligation to return to professionalism, especially in journalism. It is not right that some rules apply to the Western media, and other rules to the non-western media. The agency RIA Novosti has the right to exist and work, just like the BBC, CNN or any other media, if they do their job professionally and responsibly. Democracy is not just some mantra that needs to be repeated without any sense, but it should be proven in action. Sputnik: What other measures could have been taken and can still be taken to speed up the process of his release? Dragana Trifkovic: First and foremost, I think that it is necessary in all possible ways to inform the worldwide public about this case. Also, the Association of Journalists of Russia should contact the associations of journalists in other countries, to inform them about this case and to seek help and support. 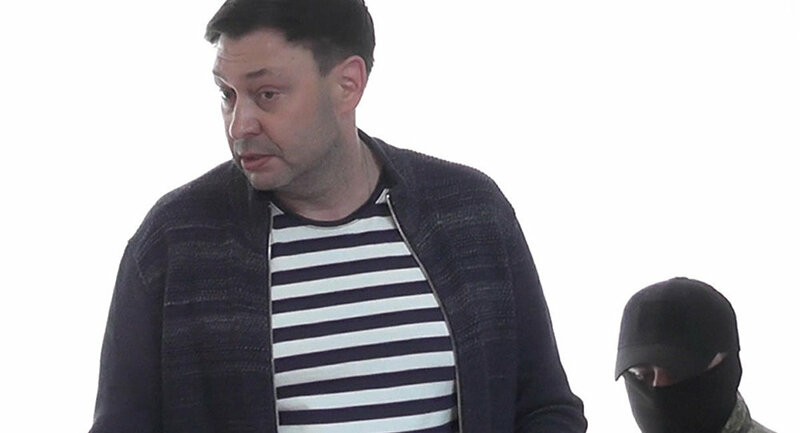 No one can better understand the problem with which Mr. Vyshinsky’s is confronted, from the journalists themselves. Colleagues from other countries should show solidarity, perhaps protest if they consider it to be just. I believe that they can put themselves in such a position, and be convinced that they would also need help that they were in Mr. Vyshinsky’s shoes. In addition, it is important that Russia seeks all legal remedies that can be applied internationally.